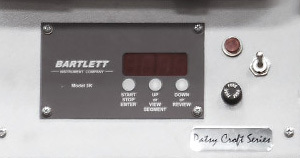 Croft PMC Kiln Model #55F-3KB. 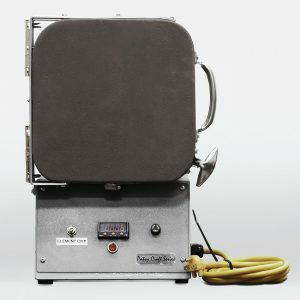 This Ceramic Kiln controller offers Programmable, Ramp and Hold- Cone Fire. For Enamels, PMC, Ceramics, Glass Fusion and a Burnout Kiln. Quality Kilns made in USA by Patsy Croft. Comes with 2 Year Warranty. 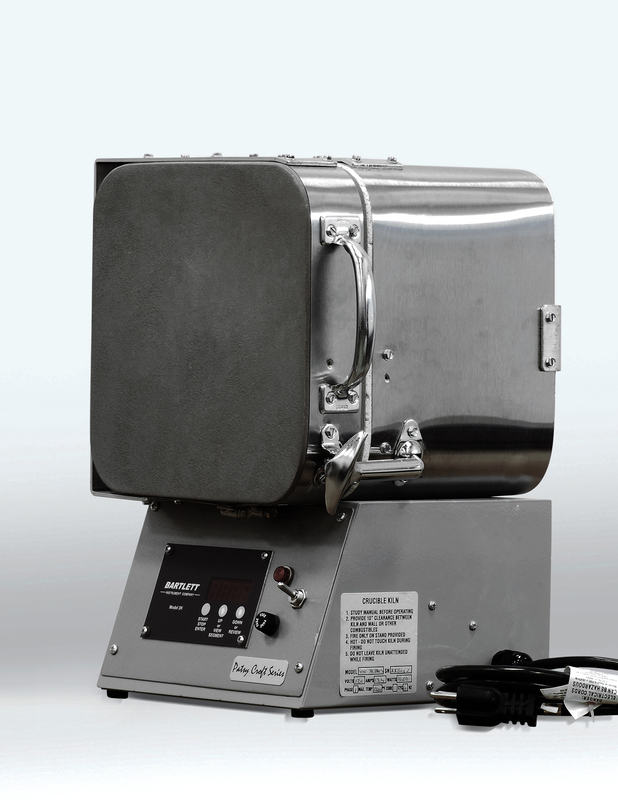 The 3KB controller offers a Programmable, Ramp and Hold- Cone Fire Kiln. 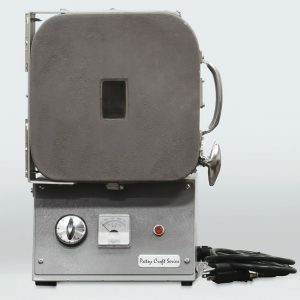 Perfect to add PMC to your Enameling techniques, as well as Glass Fusion, Burnout and Ceramic Kiln. 1- Set the Enameling temperature setting you to prefer. Next set how long you want to play today. 2- Set up your ramp and hold for PMC. 6- With the ramp and hold you can also set this kiln up for glass fusion! 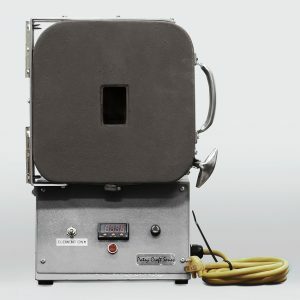 The 3KB is a very functional and diverse digital programmable Kiln. The best small kilns for home use. And I am proud to have kilns built in the USA. 55F: Interior 5″ x 5′ x 5″, 66F: Interior 6" x 6" x 6"
I have just finished firing my third medallion. For this firing, I used a 2 1/8" copper disc. The speed that the kiln fires to enameling temperature is impressive. We here in Ontario have the highest electricity costs in North America. Having a kiln that fires to 1500 degrees within 5 minutes is a real saving in energy costs. I am impressed at the insulation value built into the kiln. I was able to unlatch and open the kiln door without using insulated gloves while firing a medallion 5 times over a period of 1 and 1/2 hours. I "peeked" into the kiln a number times to monitor the firing progress. Each time I opened the door, the temperature remained within the firing temperature. Again, an energy saving. I suspect part of the efficiency of the kiln is the small firing cavity. Not a criticism as I am only interested in enameling fine silver and copper medallions. My kiln sits on a laminated surface and within 8" from wall board. I have no concern of overheating the surfaces under or behind the kiln. I have been asked to give an enameling demonstration at our turning club in February. The size and weight of the kiln is perfect for easy transport. I have been a wood turner for 30 years and have been involved in ornamental turning for 5 years. This kiln will add a new dimension to my ornamental turnings. The picture I have included was a collaborative effort between Ramsay Holmes and myself. The wine stopper is cast from polyester resin. The medallion inside is guilloched, domed and enamelled. Last Nov '12, I took basic class instruction from Patsy Croft and purchased a 55F-3KB kiln from her. I had never taken any jewelry or enameling class in my life but I found her instruction clear, detailed, and fun. We made two pieces during the two days of classes and I was able to give one to my first granddaughter, which was a real delight to me. The kiln hasn't given me a moments trouble and I am planning further instruction when I get a little more practice time. But beware, enameling can become addictive!